We’ve taken great pleasure in creating experiences that add another layer of feeling to the time you spend at The Mowbray and even after you leave... Our translation of luxury? Handmade, made in Sheffield, custom blended, bespoke finished, thoughtfully grown and made by makers and creators with integrity and skill. 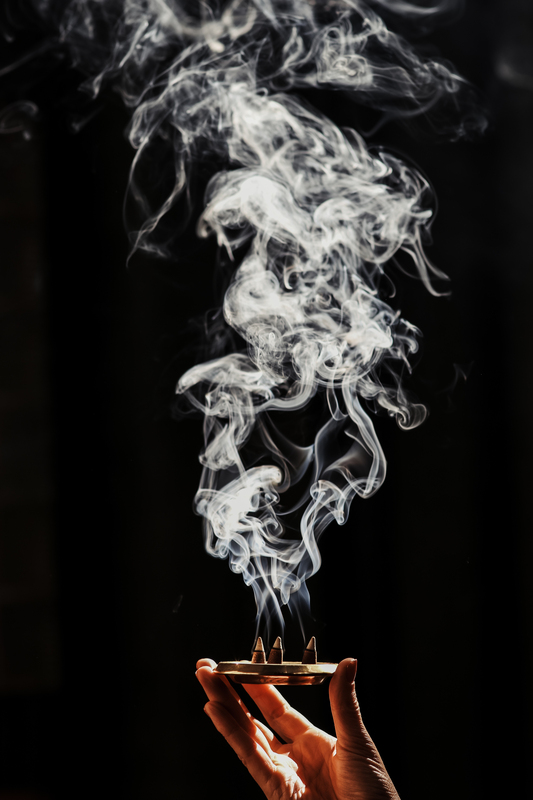 Sometimes, you’ll be gently aware of soft sensory notes floating on the air of The Mowbray thanks to our bespoke incense blend, custom made from Essence + Alchemy. Woody and smoky with floral undertones reflect the area, the building’s history and future. We drew inspiration from the origin of Neepsend and the local flora and fauna. Woody essential oils with earthy vetiver, smoky rosewood and cade capture the essence of woodland clearing and charcoal production in the 17th Century to the industrial metalworking use of the building in the 20th. A woodland floor of wild geraniums and herb robert and a cutting garden on the roof of the Mowbray today inspired the floral tones of rose geranium and palmarosa. The Mowbray has always been a sensory building all the way through from when we first started the restoration - things we saw along the way obviously - but also smells, feels and captures of light and foliage growing wild in the building. As part of the story we wanted to give The Mowbray its own identity through one of our favourite mediums - scent. Scent or essence of a building has always been important to us - it’s something that can trigger a memory or a feeling and instantly have an impact. It can also soothe, calm and create a positive mindset. Perfect as a beautiful gift for any occasion - The Mowbray incense comes in little paper packets ready to be slipped into a card or wrapped up as a special gift. Essence + Alchemy only use pure plant bases matched with essential oils for scent and nothing else. No synthetic fragrances, no additives, just pure and natural botanical beauty. 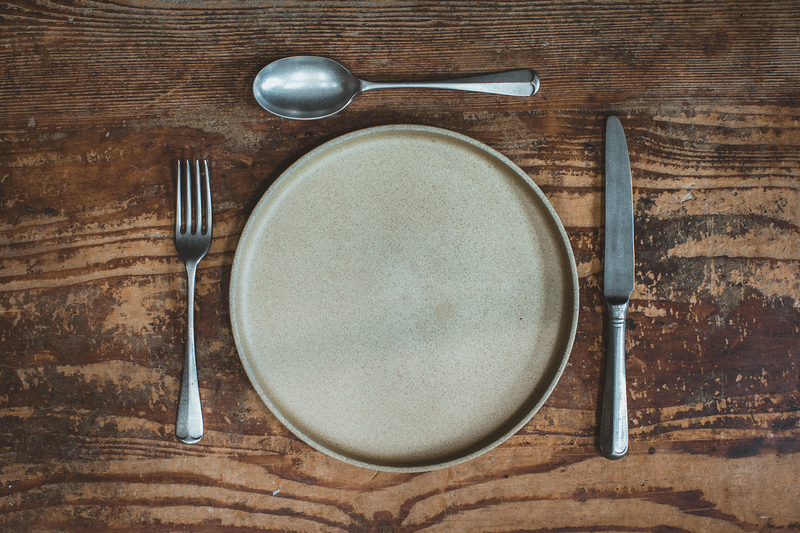 A huge part of The Mowbray’s culture is eating and feasting and we knew our guests should have the luxury of enjoying the delights of The Mowbray Kitchen from real Sheffield cutlery! It felt important that we collaborated with a cutler who could match The Mowbray in terms of heritage, passion and vision and we certainly found that in Steve Wright. Steve’s family business has been creating cutlery for over a century. In fact the story began with Mrs Beatrice France or ‘Beattie’ who at the age of 13 started as an errand girl for a little mester in the city of Sheffield. Before long she was promoted to a buffer girl polishing cutlery in preparation for silver plating. It was a job she held for 72 years! She eventually became the little mester of a Sidney Street workshop and with that the family business born. In a strange twist of serendipitous storytelling - the very same building that Beattie worked in has recently formed part of the multi award winning workspace at Albert Works that our team at 93ft designed, made and created over a century later! Steve is now based just over the road from us and he has created a beautiful set of cutlery for The Mowbray - it has a gorgeous bespoke finish and is much admired. We are super proud of it and all that it represents. Buy a cutlery canteen or enough for a dinner party. We’re always asked what we would recommend for a super luxe gift for weddings, anniversaries or even for leaving gifts and our reply is real Sheffield Mowbray cutlery of course! The roof garden and herbarium situated on the first floor is - with all great gardens a ‘work in grow-gress! The base layer of plants and herbs have been transplanted for The Mowbray from a plot in the Peak District. 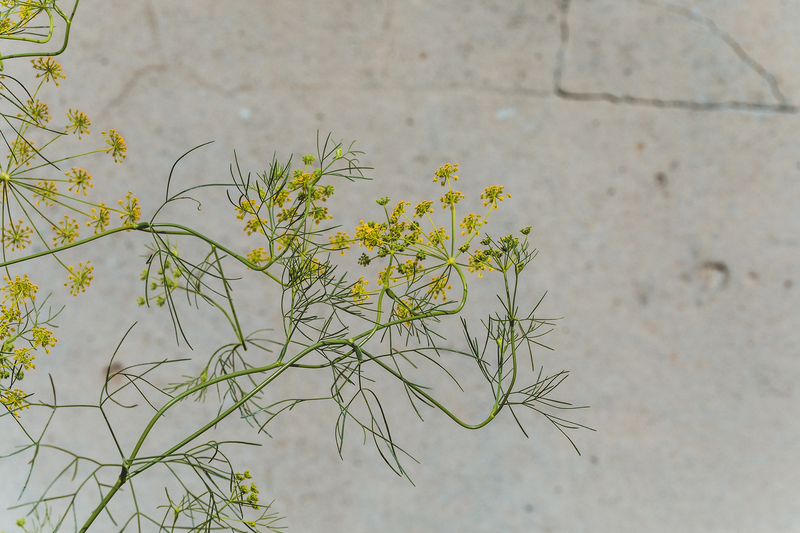 Working to a list of flora native to the both Kelham Island and Neepsend which was first compiled in the 1960’s the team aim to of bring as much native plant life to the roof garden as possible. The overall aim is to supply the kitchen and bar but to also support the bee and insect life in the area - with great results visible already. Our ambition is to one day provide blooms for The Mowbray. For now - we’re being patient and content with ‘herby snips’ for the tables on occasion! Luckily we work with some incredible florists who source as much as they can from local plots and their work is amazing! Tap us up for beautiful florals for your event at The Mowbray - we’ll be delighted to recommend and assist! Let us know if we can help with florals for gifts and we’ll match you up to one of our recommended Mowbray florists.